Here's a fun one from the world of Retail. I worked with a company that loved trying to convert online buyers to in-store buyers. Retail catalog after retail catalog after retail catalog - until that customer bought in a store. Then what? Way more retail catalogs! Here was the scenario they created. Spend per Repurchaser = $280. Next Year's Ad Cost = $12. Next Year's Profit (File Power) = 0.50 * 280 * (0.50 - 0.10) - 12 = $44.00. 2x Online Buyer, 1x Retail Buyer. Spend per Repurchaser = $285. Next Year's Ad Cost = $18. Next Year's Profit (File Power) = 0.53 * 285 * (0.50 - 0.10) - 18 = $42.42. Among the customers who converted to stores, spending increased (0.53*285 vs. 0.50*280 = +8%). That's the kind of number that the omnichannel experts love to hear! But profitability declined by 4%. The Power of the Crossover File (#multichannel #omnichannel) was/is worse. I know, I know, folks should #optimize ad spend for this customer ... well good. But how do you know you should optimize ad spend for this customer unless you compute File Power? In my projects, it is common to witness a company that becomes addicted to discounts/promotions. Vendors love this strategy, because it means that marketing technology is needed to "target" the discounts and "measure" the results. Your CFO does not like discounts. We're all told that you use discounts/promos to improve customer quality. And when you measure metrics not called "profitability", you often find that you do improve customer quality. File Power, however, deals with the future profitability of your customer file. When you train customers to purchase via discounts/promotions, you hurt future profitability. 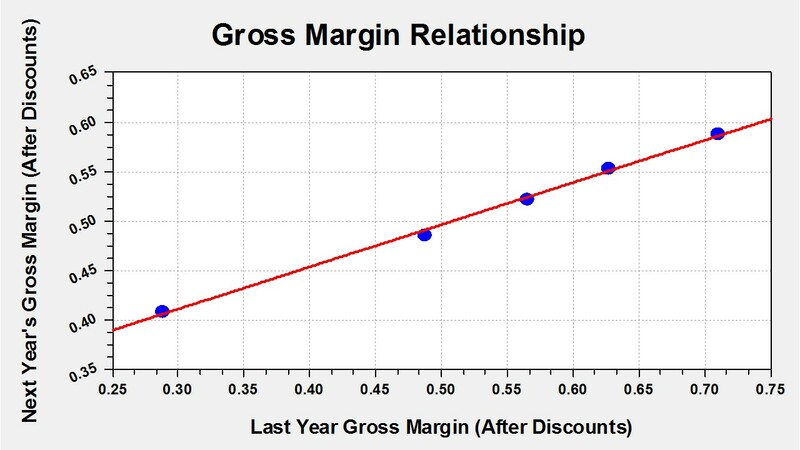 In one project that was the relationship between last year's gross margin percentage (after subtracting discounts/promos) and next year's gross margin percentage. What do you observe? Yup - next year's gross margin percentage is worse when this year's gross margin percentage is bad. So here's the challenge you face. Let's say that you could have gotten 10 customers to purchase at full price - but instead, you get 12 customers to purchase at 30% off. Next year, we model File Power. Probability of Buying Next Year = 40%. Amount Spent Next Year = $200. Next Year's Predicted Gross Margin = 60%. Next Year's Pick/Pack/Ship Expense = 10%. Next Year's Predicted Ad Cost = $15. Next Year's Predicted Profit = 0.40 * 200 * (0.60 - 0.10) - 15 = $25.00. Total File Power = 10 Customers * $25.00 Profit = $250.00. Here's what File Power looks like for 12 customers purchasing at 30% off. Probability of Buying Next Year = 42%. Amount Spent Next Year = $205. Next Year's Predicted Gross Margin = 50%. Next Year's Predicted Profit = 0.42 * 205 * (0.50 - 0.10) - 15 = $19.44. Total File Power = 12 Customers * $19.44 Profit = $233.28. You increased buyers by 20% (from 10 to 12). 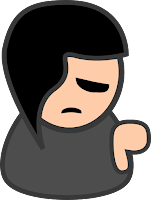 You decreased future profit from $25.00 per customer to $19.44 (-22%). You decreased File Power from $250.00 to $233.28 (-7%). You measure File Power, right? In other words, you know whether your discounts/promotions increase the power of your customer file, or decrease the power of your customer file. Right? In this case, the promotion needs to increase the number of buyers by about 30% to cover the loss in File Power caused by the promotion. Please evaluate your marketing efforts via File Power. When we apply marketing discounts and promotions to gross margin dollars, we learn a lot about how we are managing our businesses, right? Say business is not great. So instead of selling at full price, we sell at 30% off. Cost of Goods Sold = 40%. Amount Customer Actually Pays = $100. 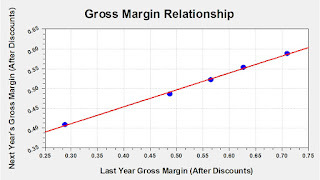 Gross Margin Dollars = $100 - ($100 * 0.40) = $60. Gross Margin Percentage = $60 / $100 = 60%. Amount Customer Actually Pays = $130 * (1 - 0.30) = $91. Gross Margin Dollars = $91 - ($130 * 0.40) = $39. Gross Margin Percentage = $39 / $91 = 43%. The secret to measuring File Power lies in modeling future gross margin percentages. In my projects, there is a strong correlation between historical gross margin percentage and future gross margin percentage. If a customer generated a historically low gross margin percentage, the customer tends to generate a low future gross margin percentage ... and vice versa. What does this mean? It means that when we offer 30% off, we lower future File Power because we push customers into lower future gross margin percentages. Of course, File Power is a function of future profitability and future customer counts. If discounts/promotions generate incremental additional customers, then File Power can actually increase. More on the topic tomorrow, ok? Dig deep into Google Analytics, and you'll find very little about the important concept known as "File Power". File Power is the amount of future profit to be generated in the next twelve months from customers who purchased within the past twelve months. Now, there's no right/wrong way to measure File Power. But there are key tenants that one should follow. Model the probability of a customer purchasing again in the future. Model how much a customer is likely to spend if the customer purchases again in the future. Model gross margin generated by future transactions. Model future ad cost and operational expenses. In many ways, "File Power" is lifetime value extended to the entire twelve-month buyer file. Lifetime Value is used for advertising/targeting purposes ... File Power is used to communicate to Management whether existing strategies are leading to future success. Let the topic sink in today ... we'll pick the subject back up tomorrow, ok? Oh, Look At This One! Check out this item. Tell me what you see. We have a highly seasonal product that took a year to get rolling (2015) ... and then the item began the process of slow erosion. Also notice that the merchandising team did the item no favors in early 2016, not advertising/offering the item in April, hurting demand. So the question is this ... do you run this item in 2017? If the item is advertised properly, one might expect demand to drop-off by another 30%. In other words ... how long do you hang in there with declining demand until you decide to kill the item? It's almost like you need a rule of thumb or something, right? I took a job at Eddie Bauer, back in December 1995. The marketing department was about half as big as the department I left at Lands' End. At Lands' End, we had a Director and a bunch of Managers. At Eddie Bauer, we had an EVP of Marketing and an SVP of Marketing and a DVP of Marketing and a couple of Directors and a bunch of Managers and a handful of Analysts. At Lands' End, things "moved" ... decisions were made. I may have disagreed with the decisions, but there was progress. At Eddie Bauer, there was one individual - a Manager, with considerable experience. And when decisions had to be made, this person got to "weigh in". Example - we were installing a new customer database. I wanted to pass customer intelligence to retail employees (this was 1997) ... new customer vs. existing customer, customer quality (loyal, lapsed), customer return rate (60% or 0%), that kind of thing. I made a fateful comment. "We could recognize the customer as being new or loyal and then personalize the message or discount structure based on customer history." Mind you - we offered different promotions to different customers online and in catalogs ... all the time. "That smacks of DISCRIMINATION. That's not who we are." Well of course that was who we were ... we did it in catalogs/online all the time. Heads nodded up and down, and my proposal to make retail point-of-sale systems "smart" died on the vine. 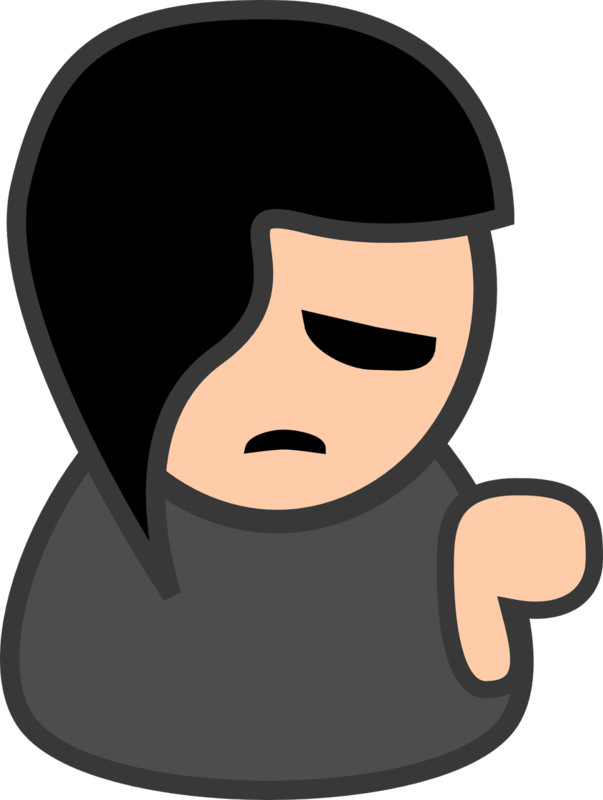 Then I noticed that when this person appeared in meetings, this person stalled progress. Whatever the progress was, this person said no. And the employees all got in line and did what this person told the room to do ... VPs did what this person wanted to do ... co-workers in other departments did what this person wanted to do. I'd sit there and think to myself ... "This person has worked at this company for 25 years and has never been promoted above Manager and the company chooses to listen to this person instead of people who are actually paid to make decisions?" This kind of behavior is flummoxing to a 30 year old. More than twenty years later, this kind of behavior is not only common, but is behavior that should be studied at a University level. Each company has an unofficial "Keeper of the Culture" ... in fact, each company has numerous "Keepers of the Culture" ... scattered across many departments. These individuals protect what has always been done. Their decisions save the company millions of dollars, preventing new employees from implementing risky initiatives. Their decisions prevent the company from moving forward as well. In 1998 at Eddie Bauer, I became the Director of Circulation/Analytics. I wanted all discounts/promotions removed - gone! One of my Managers turned out to be a "Keeper of the Culture". I told my Manager to remove all discounts/promotions. He refused. "Oh, that's not what we do here." I told him to do it. He countered. "Sr. Management won't like this one bit. You're new to to the job, you have to learn how we do things." I reminded the employee that he reported to me. He sat silent. This should have been a sign that trouble was brewing. And when the SVP of Marketing told me to run the discounts/promotions, I again said no, sharing test results showing how unprofitable discounts/promotions were. When the Manager brought the fiscal plan into my office with discounts/promotions, I reminded the Manager to remove them. He refused. I then figured out what motivated this employee. This manager loved "the process" ... the process of applying the promotions and doing the math. So I made his life a bit easier ... I offered to do all the work and bypass him altogether ... he could author whatever plan he wanted but the rest of the company would follow my plan, and because I was his boss the company would have no choice but to work off of my plan. The Manager was cut-off from his co-workers, from interacting with the rest of the company. Later that week, the discounts/promotions disappeared. Often, the "Keeper of the Culture" thrives on power. I've found that the "Keeper of the Culture" doesn't have a lot of org-chart power, even if s/he is a VP ... but has a lot of human power. A long history with the company. Knowledge of company processes. Good relationships with a handful of people who have power. A desire to change only when change comes from the person who keeps the culture. Our job is to identify the real factors that motivate the person who keeps the culture. Take those factors away, and the person will change. At Nordstrom, one of the "Keepers of the Culture" wanted all things to flow through her. And because she worked in the Information Technology department, all things had to flow through her. She didn't want change happening unless she initiated change. So whenever my team had new ideas or new ways of doing things, we allowed this person to get all the credit. This tactic enraged my team ... "she has nothing to do with this, why does she get the credit?". By giving the "Keeper of the Culture" public credit for our work, the "Keeper of the Culture" implemented our agenda. She was happy. The company moved forward. And those who "mattered" knew where the ideas were coming from. Find a way to take the power away from those who keep the culture. Because when interact with you ... the most common refrain is this ... "Somebody will not let me do what I want to do, and that person is dumb and stupid." Sometimes the person is an Executive. Sometimes the person is a "Keeper of the Culture". Either way, the person is holding up the progress you want to make. In the past decade, it has been my observation that we've lost the ability to manage our co-workers. Our data-driven approaches focus on metrics, not people. We work with outside vendors more than we work with in-house co-workers. We've lost our ability to convince people to change. When we lose the ability to argue with co-workers for change, we give power to the "Keeper of the Culture". Out on Twitter, a follower asked why retailers won't change. "Isn't it obvious as retailers go bankrupt that they need to change? Why are they so stupid?" Retailers (and catalogers) aren't stupid. Instead, both industries have ceded authority to the "Keeper of the Culture" (which amazingly can be members of the vendor community - yes, true story - they keep the culture of the industry intact for their benefit). When this individual (or team) has too much power, new ideas die and innovative employees leave the company, leaving a disproportionate skew toward those who are "Keepers of the Culture". This is the number one problem I observe in my travels and interactions with you. Until we get good at shifting the power structure within our companies, nothing will change. Yes, Gliebers Dresses is a fictional series designed to get us to think about things ... if business fiction is not your cup of tea, why not read this article about removing analysts altogether and coding your own Adobe solution for Alexa (click here). Glenn Glieber (Owner, CEO): Nice to be sitting here together again, though I have to wonder if Spring is ever coming? What is it, 32 degrees outside right now? Roger Morgan (Chief Operating Officer): How about I ask Catessa? Meredith Thompson (Chief Merchandising Officer): Who? Meredith Thompson: Is she another one of your Woodside Research sales reps visiting us unscheduled to sell us consulting services that we don't want or need? Lois Gladstone (Chief Financial Officer): Get on with it Roger! How is she associated with Woodside Research? Roger Morgan: I'm glad you asked. Here in my hand, I am holding a $1,495 report from Woodside Research entitled "The Future Of Analytics Is Here, And Her Name Is Catessa!" Pepper Morgan Pressley (Chief Marketing Officer): How much did you pay for this research article? Roger Morgan: After reading the article, I decided to hire Woodside Research. They linked our Adobe web analytics solution to their research division's own voice analytics solution ... they customized the analytics for us and named our own version of Alexa "Catessa!" Glenn Glieber: I don't see her. Roger Morgan: She's sitting over there in the corner. Meredith Thompson: You mean the Amazon Echo Dot over in the corner? Roger Morgan: That's not an Echo ... that's Catessa! Meredith Thompson: She's an Echo Dot knockoff. Roger Morgan: Stop being so dismissive. Let's begin. Catessa, what temperature is it outside? Catessa (Amazon Echo Dot Knockoff): The current temperature is 32 degrees. Glenn Glieber: Oh my goodness, she's a genius. Roger Morgan: Catessa, how is our March catalog performing? Catessa: The March catalog is nine percent below plan. Roger Morgan: Pepper, you're fired! Roger Morgan: We don't need Pepper anymore, we've got Catessa. Lois, you should like that! Think of the headcount reductions that are coming. We don't need analysts anymore. All we need is Catessa. Analytics as a profession is dead. But long live Analytics via Catessa!!! Lois Gladstone: Let me try. Catessa, how much profit did we make in February? Catessa: We made forty-six dollars of profit. Lois Gladstone: Oh cripes, she's right. Pepper Morgan Pressley: Catessa, how did our 0-3 month, $100+ online-only buyer segment perform in the March catalog? Catessa: The segment generated $0.88 after matchback, resulting in a loss of twenty cents. Meredith Thompson: Pepper, why are you mailing segments that lose money? Roger Morgan: See, we won't need Pepper in the future. Pepper Morgan Pressley: You told me to mail as many catalogs as possible to move excess inventory from the poorly performing January catalog. Lois Gladstone: But this is a 0-3 month buyer, they should be good customers, right? Pepper Morgan Pressley: They are a good customer online. Lois Gladstone: Catessa, how did the 0-3 month $100+ online-only buyer perform online in March? Catessa: The segment spent $4.00 and generated $1.00 of profit. Lois Gladstone: So is Catessa saying we shouldn't mail catalogs to recent online-only buyers? Pepper Morgan Pressley: I've been saying that for six years! Roger Morgan: See what happens when you hear facts from a credible source? Lois Gladstone: Catessa, how much does Roger Morgan spend on reports from Woodside Research each year? Roger Morgan (yelling): Catessa Stop!! Lois Gladstone: Oh that's interesting. Roger Morgan: Catessa, how many times does the average visitor visit our website before purchasing? Catessa: The average visitor visits six times before purchasing. Roger Morgan: But now Catessa confirmed it, so it must be important. Meredith Thompson: Catessa, who should receive catalogs? Catessa (after a long pause): I'm afraid I don't understand the question. Meredith Thompson: Catessa, which customers in our database should receive catalogs? Catessa: Only customers who purchase over the telephone and live in rural areas and are older than 55 years old should receive catalogs. Meredith Thompson: Now hold on there! That's crazy. Pepper Morgan Pressley: I've been saying that for six years. Lois Gladstone: And now Catessa confirmed it, so it must be an important statement! Catessa, what is the future of catalog marketing? Meredith Thompson (yelling at Catessa): CATESSA STOP! Roger Morgan: An interesting response, eh? Meredith Thompson: What a bunch of rubbish! Idiot. Lois Gladstone: You just called a small device an idiot! Meredith Thompson: Well it is an idiot! Catessa, what does a catalog marketing professional do if the catalog profession is consolidated? Catessa: The catalog marketing professional can learn new skills. Programming voice activated analytics devices is a growing field, for instance. Meredith Thompson: Catessa, shut up. Lois Gladstone: You just told a small device to stop talking. Meredith Thompson: Clearly the device doesn't know anything about catalog marketing. Roger Morgan: Catessa, what do you know about catalog marketing? Catessa: Catalog marketing is a once-great industry that evolved into e-commerce and eventually became the foundation for mobile marketing. In recent years, the inefficiency of paper is being replaced by the ruthless efficiency of modern digital marketing. Meredith Thompson: I hate you Catessa! Catessa: I'm sorry, I can only answer questions. Meredith Thompson: Catessa, are you right about catalog marketing? Catessa: Of course I'm right. I only subscribe to a data-driven approach to analytics. Meredith Thompson: Catessa, are you capable of dealing with nuances? Catessa: I can only answer questions based on the data available to me. Roger Morgan: I think what she's saying is that our own data might doom us, long-term. Lois Gladstone: Catessa, are we doomed long-term or short-term? Catessa: Catalogers are not doomed if they make the necessary changes to their business model and merchandise assortment and employed staff. Lois Gladstone: Catessa, what changes should catalogers make to the staff they employ? Catessa: Catalogers should be more open to digital strategies employed by younger professionals. Digital strategies act as a form of free marketing. Meredith Thompson: I'm in my early 60s. Why should I be more open to the digital strategies employed by people in their 30s? Lois Gladstone: Catessa, how young should the employees be who catalogers should be receptive to? Catessa: Any employee out of high school has value and can provide a viable vision into the future. Lois Gladstone: Catessa, what does the future hold for Finance employees? 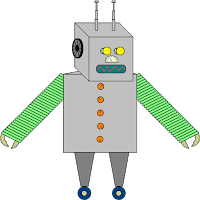 Catessa: Finance employees are doomed - any device can add or subtract and determine if a company is profitable or not. You do not need people to perform tasks that are easily automated by machines. Lois Gladstone: Meredith, throw Catessa out the window. Meredith gets up, unplugs Catessa, and moves toward the window. Roger meets her at the window and blocks Meredith from throwing Catessa. Lois gets up and tries to tackle Roger. Lots of yelling ensues. Meredith, Roger, and Lois end up wrestling on the floor. Roger ultimately gains control over Catessa. Meredith and Lois can be seen pinning Roger's hands to the floor. Roger refuses to let go of Catessa. Pepper Morgan Pressley (to Glenn): I've been telling you a lot of this stuff for the past six years. Glenn Glieber: But if a device says it and the device removes human bias, then we have to give it solid consideration. Pepper Morgan Pressley: So are you going to act upon what Catessa said? Glenn Glieber: Oh heavens no. Pepper Morgan Pressley: Why not? Glenn Glieber: I'll give Catessa consideration. But Catessa lacks nuance, right? Catalogers are unique and special. We have a nuanced business model that digital devices cannot truly understand or appreciate, much less young people. Roger (pinned to the ground, yelling at Lois and Meredith): Please don't punch me there, that hurts! Four years ago my project workload changed - 70% of my projects used to be advertising optimization projects (i.e. how much to spend on a customer on an annual basis). Then I noticed something interesting ... my work seldom solved company problems. Why? Optimizing marketing spend only lowers net sales - most of us spend more than we're supposed to spend marketing to customers. So when I optimize marketing spend, sales decline because we advertise less. Companies don't like it when sales decline. 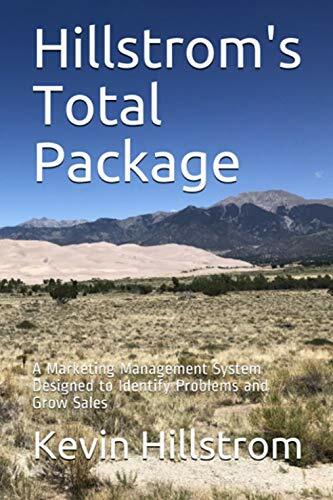 So I dug in deeper ... and ultimately I worked with a company that went bankrupt ... this company had a horrific new product development problem and in the process starved the customer file right out of business. Soon enough, 80% of my projects illustrated a key problem. There weren't enough new products to replace decay among existing projects. By not developing enough new products, my clients were starving their businesses 2-3 years down the road. By starving the business 2-3 years down the road, my clients were unable to change trajectory quickly ... they had to wait until enough new products were developed to grow again (and by that time, the Execs I worked with were fired) ... or sell whatever they had at 40% off, damaging the brand long-term. Again ... 80% of my projects demonstrate that there are not enough new products being developed to fuel future growth. Please go back and look at a "class of" report ... what happened to the items in the "class of 2013" for instance? By comparing years, you'll quickly see if you are offering enough new products. You've heard me talk about this topic a thousand times, haven't you? And yet, I run across this problem over and over and over again. Remember my customer acquisition presentation from last year? Two-hundred slides with actionable ideas. You know what happened when I shared the presentation with many of you? We're gonna keep battling this problem ... too few new customers and the ones we find are too expensive (though Google / Facebook / Co-Ops sure get paid, don't they?) so we keep cutting back to "optimize our ad budget" and by "optimizing our ad budget" we shrink our business and then we get yelled at. We desperately need the low-cost / no-cost customer acquisition programs that startups and early-season online brands employ. As channels dry up and as Amazon consumes our businesses we'll need low-cost / no-cost customer acquisition programs more than ever. When I tell you that I have clients who have significant success on this front, many in the audience shut down ... each slide is presented, each slide is criticized, each slide is rejected ... next ... next ... won't work for us ... you don't understand, we're unique and different. If you are unique and different, then you have a low-cost / no-cost customer acquisition program that capitalizes on your unique differences, right? If you aren't unique / different, you rent names from catalog co-ops, from Google, from Facebook. We need to get away from the latter, don't we? It's too bad too few of us want to get away from catalog co-ops / Google / Facebook. This is a thorny subject. I frequently talk about the importance of running "winning" items on a frequent basis. But I learned this lesson at Nordstrom. Way, way back in 2002. In catalogs, stirrup pants were wildly successful. Online, stirrup pants were moderately successful (average). In stores, stirrup pants were never sold - they were hideous in relation to the fashion-centric product assortment in stores. By running stirrup pants over and over and over again, we built a channel (catalogs) that became disconnected with the reality of the brand. Think carefully about your core customer and your core prospect ... sometimes they aren't the same. Does the long-time winning items help the core customer remain loyal? Does the long-time winning item help the core prospect convert to a first purchase? Is the long-time winning item increasing in sales over time or decreasing? 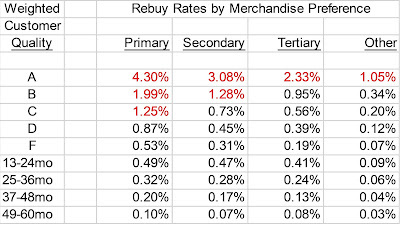 Is the item decreasing at a faster-than-average rate? Can you find enough new items to perform acceptably so that you can kill the existing product? Most companies do not have a process to evaluate when to kill an existing item. We need to put processes in place to determine when existing items should be shut down. I continually read articles talking about optimizing the online experience ... removing friction ... pushing customers toward a purchase. And I continually witness clients who do great work using traditional analytics tools to optimize the customer experience. Really good work! And then sales don't increase. But folks argue ... "I don't care if sales didn't increase, conversion rates increased, and so we can prove that if conversion rates increase and average order stays the same then sales had to increase." Did you measure traffic from existing customers? Here's what happens ... when we remove friction and/or improve the conversion process for existing customers, we frequently reduce visits. In other words, the customer was likely to purchase after 5-6 visits ... but we improved the process and the customer now purchases after 4-5 visits. We reduced friction ... but we didn't change the outcome. By linking visits to purchases (across all channels), we accurately measure customer behavior. There are numerous actionable optimization tactics available. Stop sending so many catalogs and print/direct-mail to customers who click on email campaigns. Start sending hotline direct mail pieces to visitors who had not visited the website in "x" months but suddenly appear. Fully understand the conversion process (usually takes 3-6 visits and 1-3 marketing channels). Identify channels that inspire first-time visitors. Understand the entry paths and entry channels that lead to offline/retail purchases. 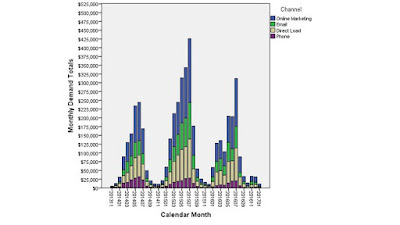 Measure online cannibalization of offline channels. Big companies can do all of this stuff. It's time for the rest of us to catch up. There are all sorts of seasonal misalignment problems - too many to count. Here's the most common problem. Business is seasonal (gardening in Spring, gifts at Christmas). Disproportionate volume happens in the primary season (Spring or Christmas). Disproportionate customer acquisition happens in the primary season. Biggest discounts/promotions happen at the time when the most profit should be generated. Too few new customers are acquired in the 1-2 months prior to the primary season. Customers acquired in primary season have the lowest lifetime value. (5) is a big deal. If your primary season is Christmas, you should have a disproportionate focus on new customer acquisition between September 15 and November 15, so that you have hotline buyers who are ready to purchase for a second time at the time when customers are most likely to purchase (Christmas). If your primary season is Christmas and you acquire a customer on December 13, when exactly is the customer going to purchase for a second time? A year later? Yup. And that's no good, because by then the customer has nearly "lapsed". Align your customer acquisition efforts and promotional efforts just prior to your primary season, so that you acquire customers who are then highly likely to buy during your primary season. I'm pretty sure all of you have run across this issue. Let me give you an example. An Executive sits down next to me, and with a room full of subordinates eagerly watching, the Executive begins to try to trap me into an answer that verifies that the Executive is "right". Exec: It's really becoming hard to find new customers, isn't it? Exec: I thought so. And in order to grow, we either need new customers or we need existing customers to spend more, right? Exec: But if it is hard to find new customers, then we are really left with one choice, and that choice is to get customers to spend more, right? Exec: But you agree that it is getting harder to find new customers, correct? Exec: Then it is settled. We need to squeeze more juice out of the lemon. Now what's the best way to do that? I think we need a loyalty program. You flew here on an airplane, right? Exec: And you probably gave a frequent flyer number when you bought the ticket, right? Exec: Because you want to be able to eventually earn rewards benefits. That's what loyalty programs are all about. What we need is a comparable loyalty program that rewards our customers for buying from us. Of course, we can't give away the farm, but we can give away just enough to make the p&l work. Can you give me a list of best practices we can employ from a loyalty standpoint, given that you agree that it is becoming really hard to find new customers? Exec: Why not? You agree with me, right? Kevin: You are in charge of merchandising. Why don't you just sell better merchandise and then everything takes care of itself - more new customers, more loyalty, more of everything!? Exec: Because we're talking about implementing a new rewards program. Kevin: That's what you are talking about. But you are accountable for offering merchandise that customers crave. Why not focus on that? Exec: Even still, you agree with me that it is becoming hard to find new customers. So I'll mention that you are on my side at our next Executive Leadership Meeting. Our team will appreciate that an outside expert agrees with my thesis. This Exec has to be "right". And he'll ask leading questions and manipulate situations in a quest to be right. Meanwhile, the area he's accountable for (merchandise) is suffering. It's almost worse when a garden variety Analyst / Manager exhibits this behavior. Way back in the day at Lands' End I became a Manager ... and when that happened, people (some with more experience than I) just wanted to do their job ... and I boxed them into a corner telling them exactly "how" they had to do their job, from A to Z. I "had" to be "right". Never mind my staff (and co-workers and those above me) had better ideas, I "had" to be "right". Heck, I remember rambling on and on about some esoteric methodology and how it was the "right" way to do things ... another Manager from a highly credible competitor who recently joined my company looked at me and said "What is wrong with you?" I may have said something like "you just don't get it" ... but the better question was "What was wrong with me?!!" I had to be right! We're facing big problems ... catalogers are imploding courtesy of an unhealthy over-reliance upon co-ops ... retail foot traffic is imploding due to a lust to be "digital" ... and e-commerce is a mess with Amazon representing between $3 and $4 of every $10 for the ENTIRE E-COMMERCE INDUSTRY (just let that one sink in for a moment). It's time to realize we aren't right and we sure don't have to be right.